Imagine a world where diabetics no longer have to inject themselves and where radio-pharmaceutical drugs against certain types of cancer can be administered orally. These are some of envisaged outcomes of research at the North-West University’s Department of Science and Technology (DST)/NWU Pre-Clinical Drug Development Platform (PCDDP). 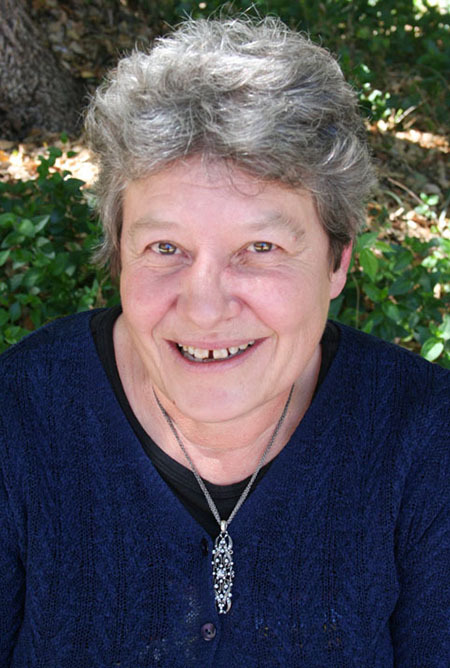 Prof Anne Grobler, director of the PCDDP, says the Pheroid® (which was developed by a team of NWU researchers) contains nano-vesicles and/or micro-sponges that can deliver an improved product to the market thanks to better absorption and consequently better effectiveness without the need for sophisticated procedures. The development of Pheroid® technology was originally funded by the DST, the Technology Innovation Agency and the NWU and is now in the industrialisation phase. One of the NWU’s spin-off companies, the Pheroid® Cluster Incubator, is currently being funded by the Department of Trade and Industry and the seven members of the cluster, including the NWU. They are major players in the cosmetic, pharmaceutical, agricultural and general supplement markets. Some of the product developments include radio-pharmaceutical drugs and insulin, which are being tested to replace intravenous with oral administrations, and to change the dosage form for peptide therapy for prostate cancer and endometriosis. The research conducted at the PCDDP and by the seven trading partners that use the Pheroid® as the basis for their products is rapidly building an excellent international reputation. Prof Anne says the PCDDP is the only preclinical evaluation platform in Africa that has received AAALAC accreditation for small-animal research. AAALAC is an international non-profit organisation that monitors the humane treatment of animals in science. The PCDDP is also the first member of the International Mouse Phenotyping Consortium (IMPC) in Africa and one of only 23 members worldwide currently helping to determine the function of all the genes in mice for later application in humans. Another NWU spin-off company resulting from Pheroid® technology is HANKS TB Diagnostics, which is partnering with the SA Medical Research Council, the University of Nebraska in the USA and BGM Pharmaceuticals. This company focuses on developing an accurate, affordable, quick and mobile diagnostic test for diagnosing and monitoring active tuberculosis. Prof Anne says this molecular diagnostic testing is much cheaper than anything available on the market at present and tests conducted among miners locally were very successful. Negotiations are underway for testing it in other countries in Africa too. The Pheroid® also made its mark in the international arena with a product from BioPher Pty Ltd, ANNGRO®. This is a unique plant- and environment-friendly nano-transporter product that promotes the absorption in plants of certain agricultural products like fertiliser. Prof Anne says that farmers using the product have already made as much as R2 billion in improved crops. This product is being exported to four continents and used successfully in China, Turkey, Brazil, Argentina, Tanzania and Zambia, among other countries. Tests are also being conducted in the USA and India. Prof Anne Grobler, director of the NWU Pre-Clinical Drug Development Platform.